1. Simply put all the ingredients into the blender or smoothie maker and process until well combined. 2.If the mixture is too thick, add either extra almond milk or a couple of ice cubes and re-pulse. Packed with protein, iron and omega 3 as well as a healthy dose of antioxidants, this speedy drink can be made in advance and kept in the fridge or you could portion up all the ingredients (except the milk) into zip-lock bags and freeze or refrigerate until needed. Kale is up there amongst the healthiest foods in the world! 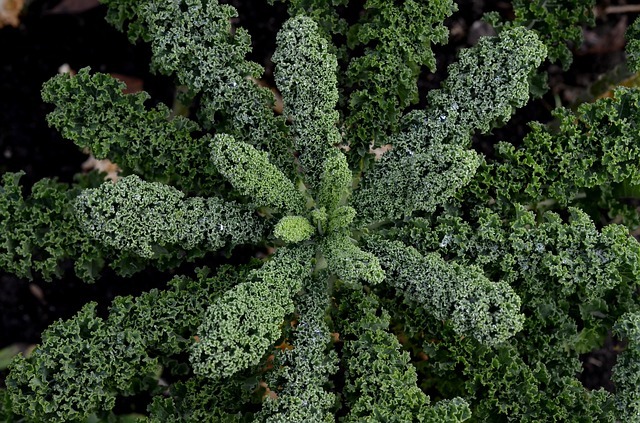 Loaded with the likes of vitamin K and iron, kale is so very good for you. Vitamin K helps your bones to build healthily, while iron is central for good health, such as the vital tasks of forming enzymes and hemoglobin. It plays a part in transporting oxygen throughout the body, as well as in liver function, and cell growth. Wonderful kale is a very good anti-inflammatory food, and is supportive to the cardiovascular system. It contains plenty of anti-oxidants, and is high in calcium, vitamin C & A. It makes a good detox ingredient!